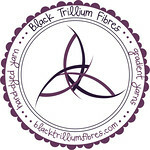 Once a year, Black Trillium Fibres offers you the chance to get 25% off your entire purchase. So if you’re looking for gifts for all your crafty pals, or you need a sweater’s worth of gradients, now’s the time! November 24th through 28th, use the discount code ‘BFCM17’ to get that special something for a bit less. Remember those holiday advent calendars that revealed a piece of chocolate each day? Imagine that but with yarn and notions instead! Jimmy Beans Wool presents their 2017 Craftvent Calendar: a 24-day mystery knit-along counting down to the holidays! Beginning December 1st, you’ll open each compartment of the calendar to reveal scrumptious yarns, notions, and pattern clues to knit your way to a stunning shawl by Christmas Eve. To order your Craftvent Calendar now, visit jimmybeanswool.com/craftvent! 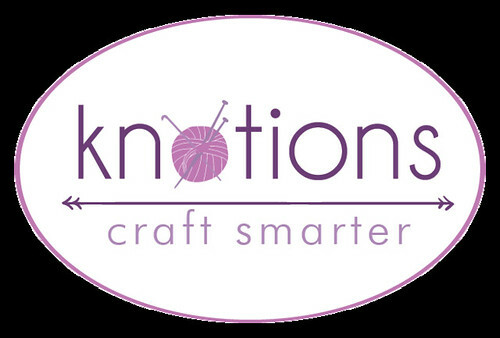 Knotions - a free knitting and crochet magazine with patterns, tutorials and reviews. Check out our new issues each month! Add a new skill - like German Short Rows, Cables without a Cable Needle or the Magic Knot. Make one of our free patterns such as the Sunset Lights Shawl, Sweetly Hat or Luonnotar Socks from a recent issue. Or buy a copy of one of our inexpensive eBooks on socks or hats. See what we have to offer at knotions.com (that’s knotions with a “k”). At Little Skein, we start our holidaying on the day after Thanksgiving (and never before). Join us for our biggest shop update of the year. ALL of our most popular kits will be back in stock, together with a brand new kit for the holidays inspired by the Chronicles of Narnia. 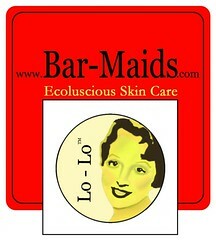 Join us beginning Friday at littleskein.com. ONE MINUTE UPDATE: SAM PASSED THE BAR! 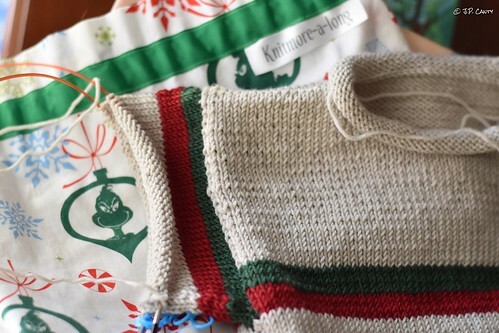 The If You give a Mouse a Cookie sweater for Rex, the body is done, Jasmin has started the sleeves. We mention If You Give a Mouse a Christmas Cookie and If You Take a Mouse To The Movies . Gigi is knitting 2 pairs of Vanilla is the New Black socks. One pair is out of Patons Kroy, the other pair is for Sam, out of Regia in the Havana color way. Jasmin is knitting on her Tale as old as Time cowl. The knitting group is working on a Welcome blanket for refugees. International Rescue Committee out of Berrocco Comfort worsted from Jimmy Beans. Gigi is knitting charity hats in the Barley pattern, and baby Barleys for the NICU. Jasmin is planning to set up the Head to Toe Project over Thanksgiving. Jasmin: hamilknit hat, resistance hat, mondo cable cardi Genevieve: Olivia hat. Rex: Welcome to the Flock cardigan, Baa-ble hat. Jasmin mentions the Goodreader app. #OperationSockDrawer, and #ProjectSweaterChest are ongoing. Entries will be judged on the basis of originality and delightfulness. We have a new contest:The "I Blame the Knitmores " contest .The Prize is a mug from Pawley Studios and tea from Plum Deluxe. Contest responses need to be posted in the I Blame the Knitmore's thread. It will continue until November 23rd. Gigi asks about I Zombie . Gigi was bored with her knitting, and wanted to cast on something cheerful, like the Spice market or some other colorful shawl. But the yarn is not rinsed yet. Lack of Internet got in the way of knitting the sockhead cowl. Genevieve talks about weaving on the Cricket loom, and sewing with her Gramzie.